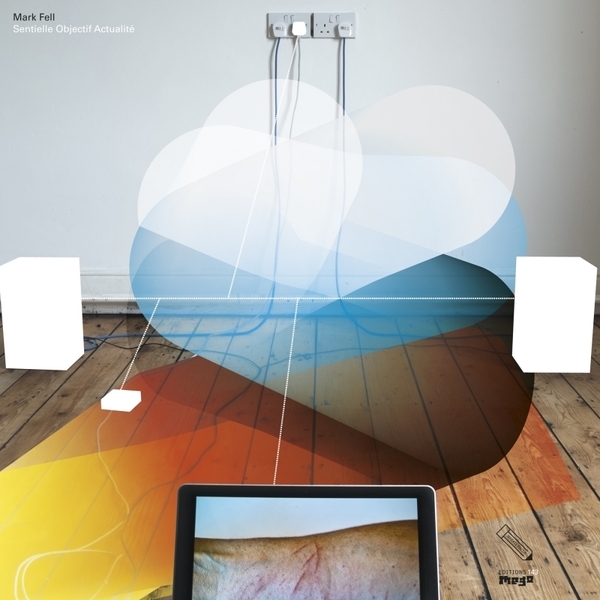 Even before it was revealed that Mark Fell was behind the sensuous, unspooled but strangely disciplined house productions on Editions Mego's Sensate Focus 12" series, one might've guessed that the Sheffield-based artist was responsible, given his prior form deconstructing garage and techno as one half of SND. That said, his approach here differs to the ascetic, rhythm-obsessed approach of SND: the rhythms here are, in fact, the most conventional element, generally pretty rudimentary if still strangely compelling. No, it's Fell's digital synthesis where the real magic lies. The dreamy melodies and uncanny repetitions, not to mention the sheer unctuousness of the sounds employed, make this some of the most accessible, immediate material in the Fell canon, but nonetheless there's the usual rigorous formalism at work across the seen tracks here, all remixes of productions from the previously released SF 12"s: "The 7 remixes were written and recorded in June 2012 at the Upper Lounge, Chatham Street (UK) using a MacBook Pro running Digital Performer, FM8 (featuring manipulated DX100 and TX81Z presets), Battery and Razor," writes Fell. "Hand claps are constructed from the Roland TR707 clap, two copies of which are detuned and panned hard left and right, with an additional Yamaha RX11 Clap 2 panned centrally; kick drums have been constructed with the Roland TR707 Kick 1 pitched up with bass content attenuated, overdubbed with samples from vinyl derived, it is assumed, from the Roland TR909. Two hi hats are used: the Yamaha RX11 Closed Hat 1, and a sample from Bassmental's ‘2 Daye Revisit (Kerri Chandler remix)’, released on Nite Grooves, 1994." Fell also recommends MK's 'dubby dub' of Chez Damier's 'Can You Feel It' (KMS, '92) and Choo Ables' 'Hard To Get' (E-SA, '93) as "contextual listening", and in a climate where you're average producer is name-checking Chicago house without adding anything to its founding formulae, Fell's structurally and conceptually radical updates are all the more precious.